Now that summer’s here, it might be tempting to think about quitting your job and traveling around the world with your four-legged animal. There is, however, one major problem with that plan: Taking your furry friend with you on a plane has now become more complicated than ever before, and it’s mainly due to the airlines’ new policies regarding pets. With the tragic death of French bulldog Kokito still in everyone’s mind, airlines companies like United are now wondering how they can prevent events like this from happening again. 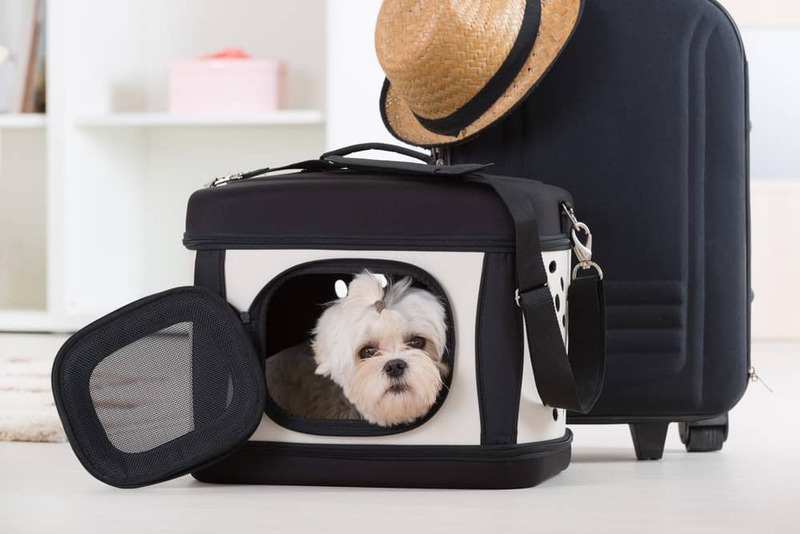 Traveling with Smaller Animals: Generally speaking, most small dogs (depending on their size and weight) are allowed to travel in the cabin with their owner. Owners, however, can’t just bring their dogs on board since they belong to a smaller breed. That’s because there are still restrictions and rules they have to follow before they’re allowed to board. Most airlines can only allow a certain number of dogs on board, and some (like JetBlue) require owners to call in advance to let them know that a dog will be flying as well. So, if you plan on traveling with your dog anytime soon, it’s best to let the airline know as soon as possible. 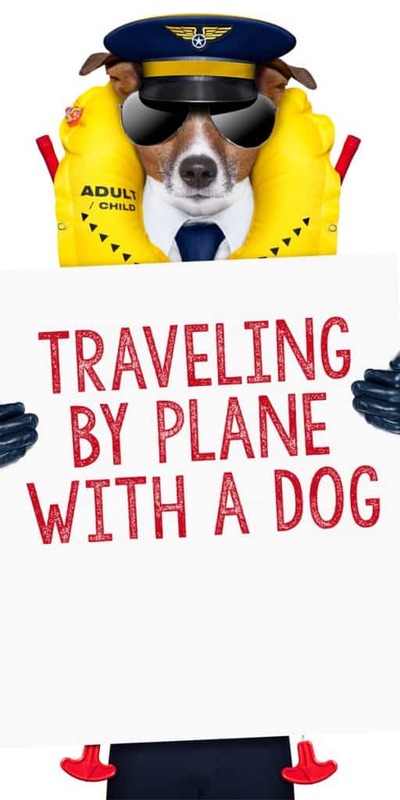 Remember, this is something that shouldn’t be put off, because if all the pet spots on the plane are filled by the time you call, the airline won’t allow your dog to board the flight. As part of the registration process, you should also expect to pay a fee between $95-150 each way. If your dog, however, is a service animal, then this rule does not apply to you. 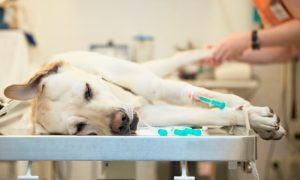 Another policy that could experience some changes is the pre-flight pet documentation. 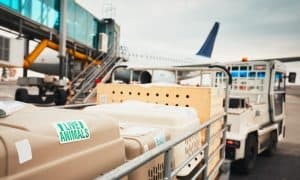 Although most airlines don’t require pet owners to show proof of shot records until the day of the flight, Delta airlines now require anyone traveling with animals to provide health records 48 hours before departure. 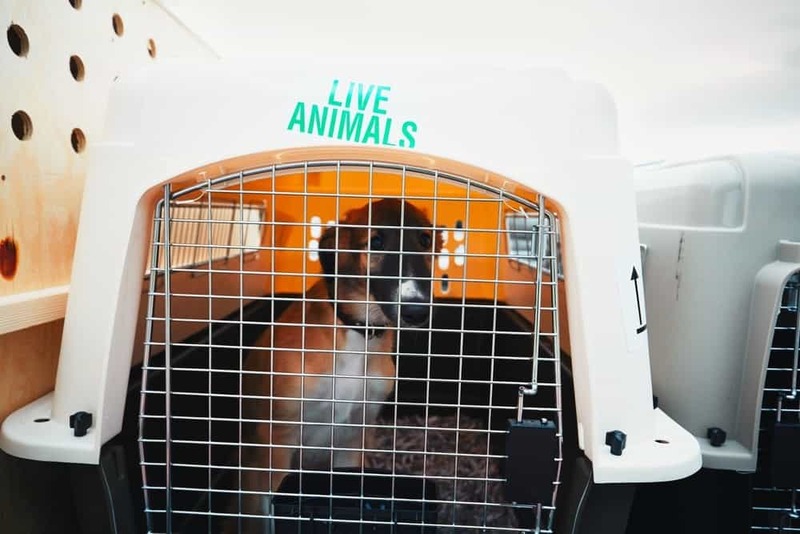 Pet owners who are traveling with Delta will also have to sign a behavior voucher, which simply states that your animal will be on their best behavior throughout the duration of the flight. 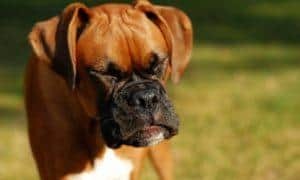 If your dog doesn’t behave for some reason, the airline has the right to remove both you and the dog from the flight or you deny you both from boarding if your pet behaves aggressively towards staff members or other travelers. 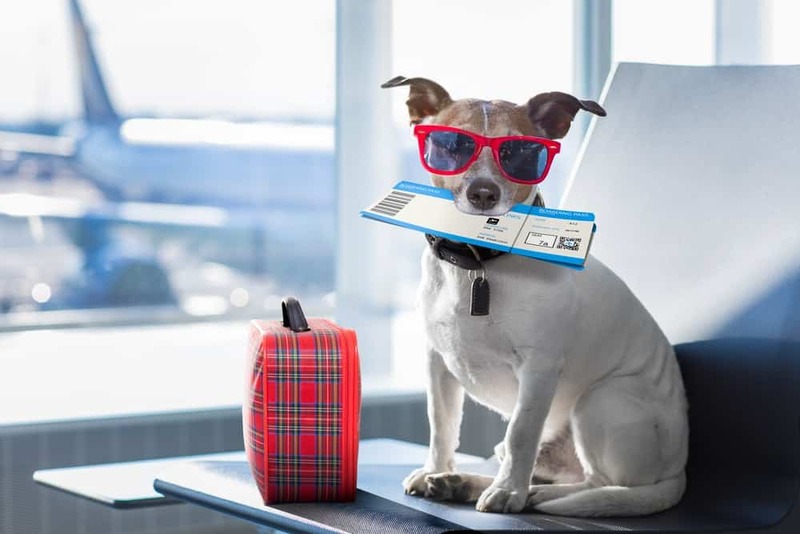 Regardless of your airline requirements, it’s also good practice to travel with your dog’s medical records and license in case something comes up on your trip. Traveling with Bigger Dogs: What if you’re a bigger dog and don’t have the luxury of sitting next to your owner? Then what? Although smaller dogs are allowed to travel in the cabin, heavier dogs cannot unless they act as aid or service dogs. What does this mean? 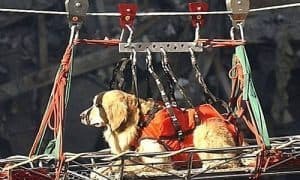 This means that dogs who can’t fit inside the cabin must be placed in cargo; but not all airlines are willing to place dogs under the plane since cargo pressure needs to be regulated in order to prevent dogs from suffocating to death. So, when you are planning a trip with larger animals, make sure the airline’s willing to accommodate for your pet. Long-haul flights take a certain amount of psychological and practical preparation for any traveler. There’s even more prep work to do if you’re traveling with a dog. Most airlines allow pet owners to reserve cargo space about a week and a half before the flight is scheduled to departure. That way, last-minute travelers can still reserve tickets if needed and they’re sure they’ll have the space for the animal. 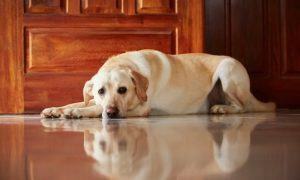 When it comes to documentation for larger dogs, the rules may vary based on your destination. 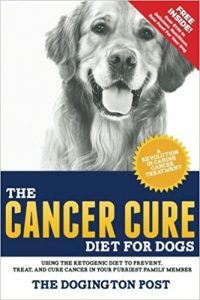 If you’re traveling abroad, for instance, you might want to take your dog to see a vet to make sure it’s in good health and speak with airline representatives as well. 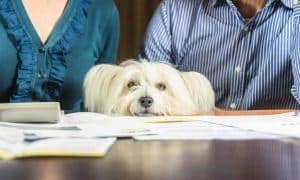 By doing this, you’ll make sure your pet’s medical records are up-to-date and have a better understanding of pet policies for that particular airline. So, what’s the biggest difference between getting on a flight with smaller versus getting on one with a larger dog? The answer: breed restrictions. Every airline that flies pets through cargo has some sort of breed restriction in place. Some breeds like bulldogs, for example, might be prohibited from entering the plane due to breathing or respiratory problems. Others breeds like pit bulls, however, might be banned due to their high-energy and willingness to break out of dog carriers. Whatever the reasoning, checking for breed restrictions before booking a flight is key. What if your dog is one of many breeds banned from certain airlines? Get creative and be proactive. 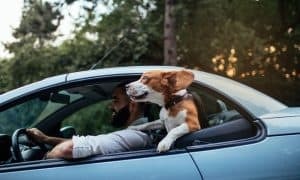 If going on a vacation with your furry friend is on your do-to-list, but they’re banned from air travel, then consider other ways to travel and still have fun. First, you can try searching other airlines to see their pet policies. If that doesn’t help your situation, then think about driving to your destination if it’s not too far. If you just want to get away from home, however, and enjoy the great outdoors with your dog for one summer weekend, then think about camping. If your pooch is happy about just going on daily walks, imagine how they’ll act with hundreds of acres of grass to play in. Remember, it’s not about how you get to your destination, it’s about the memories you walkway with — so why not enjoy it? Thanks for the read! Did I miss anything important? What are some other things pet owners should know before planning a trip with their four-legged friends? Feel free to leave a comment below. H. Davis loves taking advantage of the sunny weather outside. If you can’t catch him online, you might be able to catch him out playing football with friends or cheering on the Boise State Broncos. Follow him on Twitter at @Davis241. Thanks! It is so important to be educated before traveling with your pet! I remember my first time traveling with Billy, my boston terrier. Practice makes perfect! Awesome article!! I totally agree! 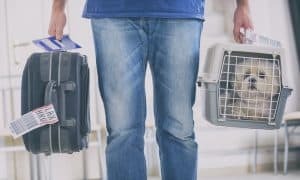 These things people need to know before boarding a plane with pet. Thanks for sharing this great article.